The Gloucestershire Energy from Waste (EfW) facility sits adjacent to the M5 motorway to the south of Gloucester. 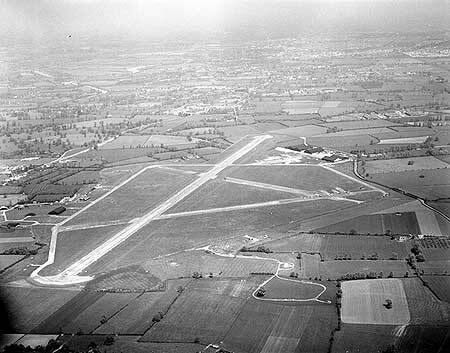 It is located on the site of the former RAF Moreton Valence Airfield. The M5 is roughly aligned with the main runway in the image below. The architect's design solution for the EfW facility is described in the Design and Access Statement, which accompanied the planning application in 2012, and can be viewed here. Guidelines set out by the government department Defra, DETR, and the Chartered Association of Building Engineers (CABE) have been fully considered in the design process. The facility is designed to be functional, safe, adaptable to change, fully accessible, and linking to the existing landscape.